While you might think that the look of tans are worth the damage, they really aren’t. Tanning beds and harmful UV levels will lead to wrinkles, dryness, and might even lead to skin cancer. We recommend using high SPF sunscreen and moisturizing often to lock in your skin’s glow for years to come. Don’t forget those lips either! Look for lip balm with an SPF of 15 to keep those smackers smackin’. If you feel that you really want that summer tan, but don’t want to damage your skin, invest in a sunless tanner! These can give you that darker tint and still leave your skin looking beautiful. Exfoliating can also help your skin stay fresh and clear by rubbing out all the dirt and getting rid of the dull skin on top. Body treatments like our Full Body Sugar Scrub Exfoliation can brighten and hydrate your skin while also being anti-cellulite! There are many ways you can exfoliate your body and getting a body treatment is one of the best ways to relax and enjoy the summer. 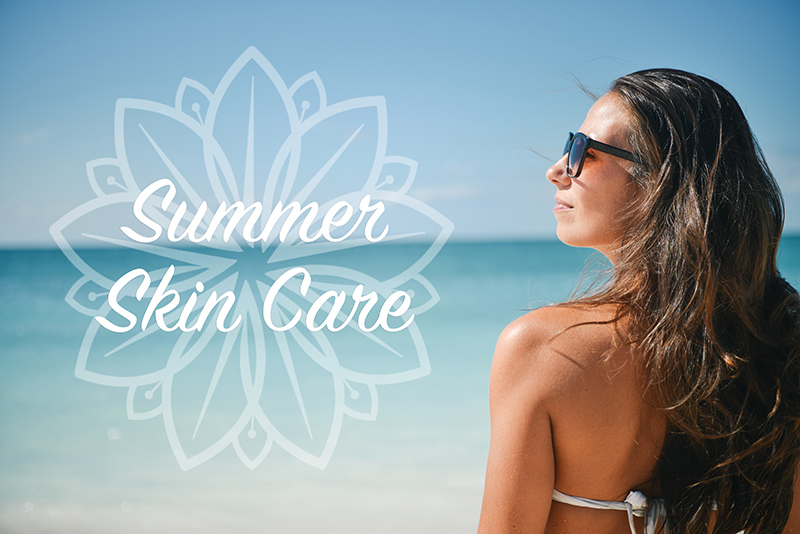 With how much we sweat during the summer, it’s crucial that you take the time to develop a facial skin care routine. Getting regular facials and cleaning your face daily will help to get that nasty dirt and grime that comes with sweat out of your pores – keeping your face clear of blemishes! You don’t have to worry about your skin breaking out and looking dull by keeping these tips in mind! Scheduling facials and body treatments through Precision Wellness will help keep that acne at bay and your skin looking refreshed and rejuvenated.